Condition: Very Good. Slight tanning to the margins of the leaves otherwise a very well presented copy. Signed by the author on the title page — unverified and reflected as such in the lack of premium. 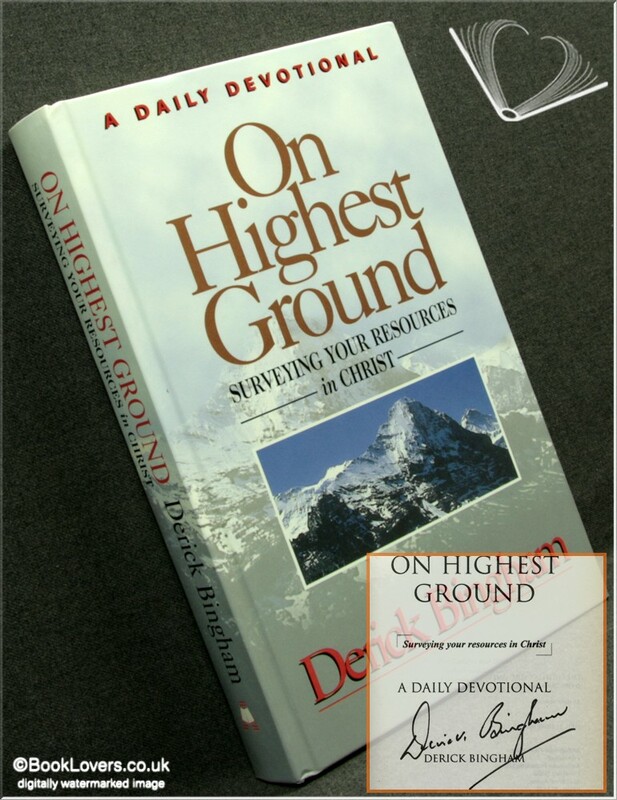 From the cover: “EPHESIANS gives one of the most magnificent views in Scripture of a Christian’s resources in Christ. This book goes through this exquisite letter verse by verse in a daily reading form. Here is salvation by grace. Here is a description of what true Christian unity is all about. Here too is redemption through Christ’s blood, forgiveness of sins, adoption into God’s family, sealing by the Holy Spirit and incomparable power for living, the very same power that raised Christ from the dead. Here is power to transform relationships between husband and wife, between parent and child, between employer and employee. As for overcoming all the fiery darts and wicked intents of the evil one, there is the incomparable resource of the whole armour of God to put on! Size: 8¾" x 5½". Pictorial boards. 305 pages.